The BHI board is led by Board Chair, Professor Carol Pollock. Professor Carol Pollock has an international reputation and has published over 280 papers in clinical medicine and basic science. She is a renal medicine specialist with extensive experience as a clinician, researcher, lecturer, mentor and advocate. Professor Pollock is an inaugural Fellow of the Australian Academy of Health and Medical Sciences (2015), was conferred a Vice Chancellors Award for Excellence in Research Supervision (2012), recognised as a ‘Distinguished Professor’ by the University of Sydney (2012) and received the Ministerial Award for Excellence in Cardiovascular Research (2014). 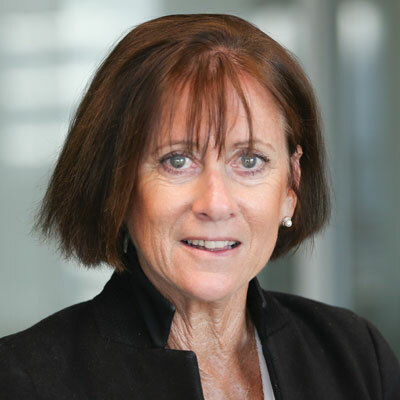 Her health leadership roles have included inaugural Chair of the NSW Agency for Clinical Innovation, Chair of the Clinical Excellence Commission, inaugural Chair of the Northern Sydney Local Health District Board and Director of Kidney Health Australia since 2014. Professor Pollock chairs the NSW Cardiovascular Research Network and chairs the International Society of Nephrology Meetings Committee, responsible for delivering research and educational meetings and policy forums across the globe. She was the Scientific Chairman of the World Congress of Nephrology in Hong Kong in 2013. 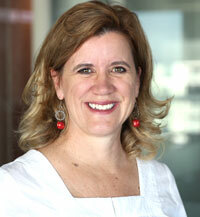 Louisa Jorm is the Foundation Director of the Centre for Big Data Research in Health at UNSW. She is an Australian leader in epidemiological research using linked administrative health data, including hospital inpatient, mortality and Medicare data. From 2007 until November 2014, she was Foundation Professor of Population Health and Director of the Centre for Health Research at the University of Western Sydney, and Senior Advisor at the Sax Institute. Prior to this, she spent more than 15 years in senior positions in public health policy and service roles. 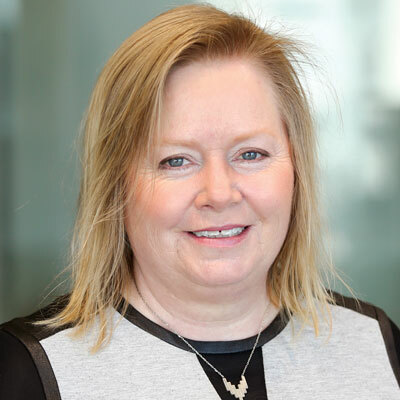 She has played a leading role in the establishment of major infrastructure and capacity for health big data research in Australia, including the Centre for Health Record Linkage, the 45 and Up Study and the Secure Unified Research Environment (SURE) data laboratory. In the last 5 years Professor Jorm has published more than 60 scientific papers, been awarded almost $10M in research funding and given invited plenary presentations at five international and 11 national conferences. She represents the National Health and Medical Research Council (NHMRC) on the international Public Health Research Data Forum convened by the Wellcome Trust and chairs the NHMRC's Data Reference Group. She is a member of two NHMRC Principal Committees: Research Committee and Prevention and Community Health Committee. Professor Adam Elshaug, PhD, MPH, is the HCF Research Foundation Professorial Fellow, Chair of Health Policy, and Co-Director of the Menzies Centre for Health Policy at The University of Sydney. He returned to Sydney in late 2013 after three years in the United States; one as a Commonwealth Fund Harkness Fellow based at Agency for Healthcare Research and Quality and two in the Department of Health Care Policy, Harvard Medical School. In addition to the BHI Board, Professor Elshaug sits on five national health care advisory panels, including as a Ministerial appointee to the Medicare Benefits Schedule Review Taskforce. He has pioneered methods for measuring the prevalence of low-value care in administrative data sets, and regularly advises international governments, third-party payers, and NGOs on quality and efficiency enhanced health system delivery and payment reforms. Professor Elshaug is co-lead of The Lancet Right Care Series and has published 100+ technical reports and peer-review articles, including in The Lancet, NEJM, BMJ, and JAMA. He is recipient of numerous research awards and over 120 invitations to address conferences, government, academic, insurance and health technology assessment groups internationally. Mr Ian Gillespie has an extensive background in the public and private sectors, holding senior executive positions covering finance, administration, strategy and general management. His previous appointments including senior Finance Director positions at the Department of Education and Communities; General Manager, Finance at the NSW TAFE Commission; Director, Finance and Administration and also Director, Strategic Planning at the Ministry of Education and Youth Affairs; and Chief Accountant at the NSW Department of Motor Transport. Mr Gillespie has undertaken independent consultancies covering service outcomes, risk management, policy setting, financial management and corporate restructuring. He has been appointed to various government committees where service enhancement, strategic risk management, probity issues and compliance with government regulatory requirements were paramount. He is currently appointed to several government committees addressing audit and risk management. Mr Gillespie is a Fellow with CPA Australia; Fellow of the Australian Institute of Management; and is a member of the Australian Institute of Company Directors. Dr Nigel Lyons has almost 30 years’ experience in the NSW Health system as a clinician, manager and executive. He is the Deputy Secretary Strategy and Resources, at the NSW Ministry of Health where he is responsible for strategic health policy development, inter-jurisdictional negotiations and funding strategies, system-wide planning of health services including mental health, setting the direction for child and family health policy and driving the whole of government strategy for Women NSW. 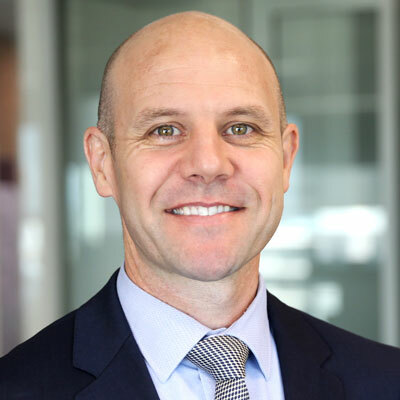 He has also held other executive roles in the NSW Ministry of Health and NSW Health Services including Chief Executive of the NSW Agency for Clinical Innovation and Chief Executive of Hunter New England Area Health Service. Dr Lyons has been actively involved during his career in many other roles which demonstrate a commitment to postgraduate education, rural health and clinical service improvement at regional, state and national level. He has held a number of Board appointments relating to these areas during his career. Megan is the Director of Research at the University Centre for Rural Health, University of Sydney, based in Lismore. She is an Honorary Research Fellow with the Telethon Kids Institute and was the Director of the Australian Rural Health Research Collaboration from 2014 to 2017. Her research addresses priority issues for rural populations, with a focus on chronic disease prevention and management and Aboriginal health. Before joining The University of Sydney she worked in various roles within the NSW Health system, with a focus on providing evidence to support quality improvements. Prior to this she spent seven years with the PNG Institute of Medical Research, during which time she served on several WHO committees and provided advice and consultancy services in multiple countries in the region. Over the past five years, Megan has been the recipient of over $10 million in grant funding and has published more than 70 peer-reviewed journal articles. She is on the editorial boards of Nicotine and Tobacco Research and Frontiers in Public Health Policy. John Worthington is a clinician-researcher and founder of the Stroke and Health Services Research Unit in South Western Sydney and co-lead of the Heart and Brain Collaboration at the Ingham Institute for Applied Medical Research. John trained in Neurology and Thoracic-Sleep Medicine at Royal Prince Alfred Hospital and is Senior Staff Specialist in Neurology at Liverpool Hospital and an Associate Professor of Medicine at the University of New South Wales South Western Sydney Clinical School. 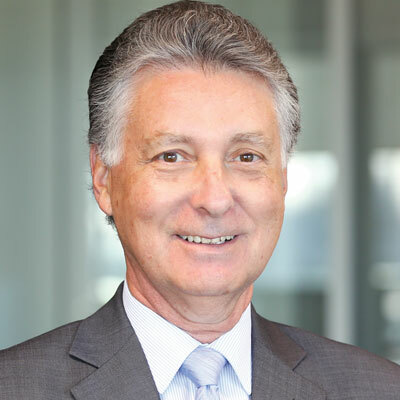 A former co-chair of the NSW Stroke Network, John holds advisory roles with the Clinical Excellence Commission and Agency of Clinical Innovation. His research interests include neuro-epidemiology, stroke prevention, the translation of evidence into bedside care and health service performance. As well as using routinely collected and linked data to assess health service delivery and patient outcomes, John has pioneered a process of audit, analysis and feedback in stroke care, which has been widely adopted by the Agency of Clinical Innovation, to address unwarranted clinical variation.